Sergei Maslov, a professor of bioengineering and physics at the University of Illinois, sees a "universe in a grain of sand." His research seeks to explore that universe by focusing on the genomic diversity of its constituents: the millions of microbes that thrive and reproduce within it. Maslov's recent study, published in Genetics, examined the dynamics that govern this diversity by modeling the effects of several different factors on evolution of the genome sequence. Coauthors on the study were former members of Maslov's lab, Purushottam Dixit, now a postdoctoral researcher at Columbia University, and Tin Yau Pang, now a postdoctoral researcher at the University of Dusseldorf. Together, Dixit, Pang and Maslov, who is also a Bliss Faculty Scholar and a member of the Carl R. Woese Institute for Genomic Biology and the National Center for Supercomputing Applications, clarified the conditions that either keep a bacterial species cohesive or drive it toward diversity. The origin of the present work was a casual interaction between Maslov and his colleague F. William Studier, a renowned biologist at Brookhaven National Laboratory. Studier and others were exploring the genome sequence of different strains of Escherichia coli and were intrigued by an observation that some areas of the genome varied dramatically–more than expected by chance–in the number of sequence differences between the two strains. Maslov was drawn into the puzzle presented by this finding, and eventually helped the group conclude that regions with very different sequences could be explained by recombination, a mechanism that allows bacterial cells to obtain fragments of DNA from their neighbors and incorporate them into their own genomes. "I'm a computational person, so I'm really motivated not by a field necessarily by an interest in problems. So if it's a puzzle, I like to crack it if possible," Maslov said. Even after the work with Studier was published, Maslov continued to feel drawn by questions posed by the finding. "We wanted to understand how bacterial species form and what are the forces that keep them coherent." A physicist by training, Maslov puts this question in the terms of cosmology: in the universe of microbes, how does mutation, chance errors in genome sequence that expand the variation found within a strain, compare to the binding "gravitational force" of recombination? He and his coauthors set out to answer this question with the aid of the ever-growing public database of bacterial genomic data. "Immediately after a recombination event, two bacterial genomes become identical for a piece of their genomic sequence, which means that they are in some sense closer together . . . [but] if you have two bacterial sequences which diverged too far apart from each other, they just lose the ability to recombine with each other," Maslov said. "Our goal was trying to understand more generally the problem of maintenance of bacterial species." Maslov and his coauthors developed a computational model that captured the basic elements of bacterial evolution: the existing level of genomic diversity between pairs of individuals within a population, the rate of chance mutations, and the capacity for recombination. The model quantified the relationships between all these factors as they influence genome sequence within a population of bacteria. 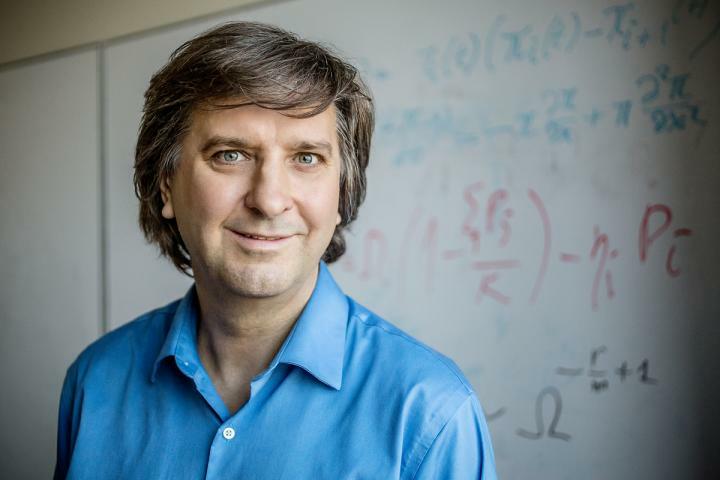 The researchers found that the balance between these factors creates a fairly sharp division between two distinct states–metastability and divergence. "The main parameters that turn out to be relevant . . . is the frequency with which the particular genomic organism recombines with members of its own species, and the overall population size, so depending on those two variables you can have two regimes, either a regime in which recombination happens sufficiently frequently that you have a coherent species which stays together for a long time, or you have this regime where it breaks into subspecies," Maslov said. In other words, frequent recombination events can keep a population of bacteria in a metastable state, one in which speciation is unlikely to occur even over the course of many generations. A larger population in which the mutation rate can outweigh homogenizing effects of recombination will diverge quickly. But Maslov emphasized that over a long enough time scale, speciation is as inevitable as the universe's expansion. "Sooner or later there will be a freak accident, because the moment the genetic distance between two species exceeds a certain threshold, they effectively lose the ability to recombine," he said. "The new species will form–so it's more a question of how long a given entity, which we currently call a bacterial species, will live for." By elucidating basic features of bacterial speciation, this work addresses fundamental questions about evolution and could eventually contribute to efforts to track and prevent the development of drug resistance or virulence in disease-causing pathogens.